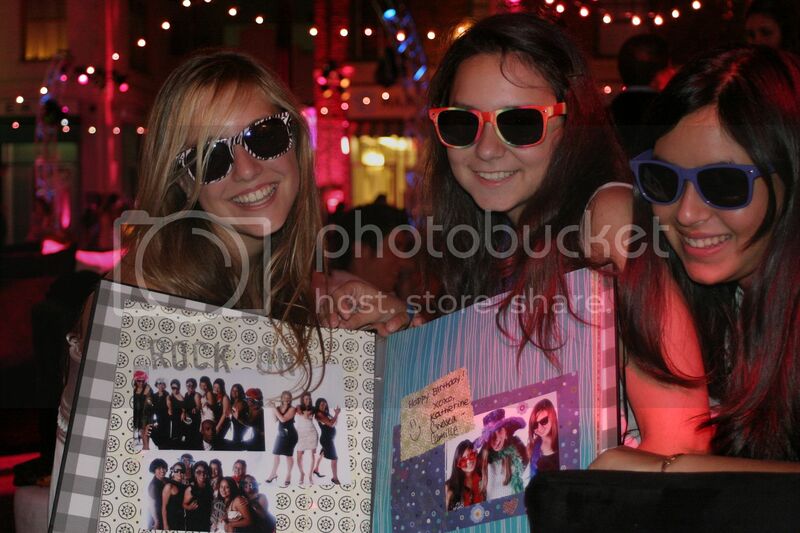 I love doing the scrapbooking for some of LA Photo Party's events. While I enjoy doing all kinds of different events, I think my favorites are birthday parties and Bat Mitzvahs (although I really enjoy weddings as well.) There's just something about the young spirits and teens who come together to celebrate and have fun with making something for their dear friend. At the end of the evening, the scrapbook is complete & becomes a great keepsake/glorified guestbook. Also great for private events and smaller gatherings, the creative mess just flows and seeing the smiles on everyone's faces with their project completed is total joy.